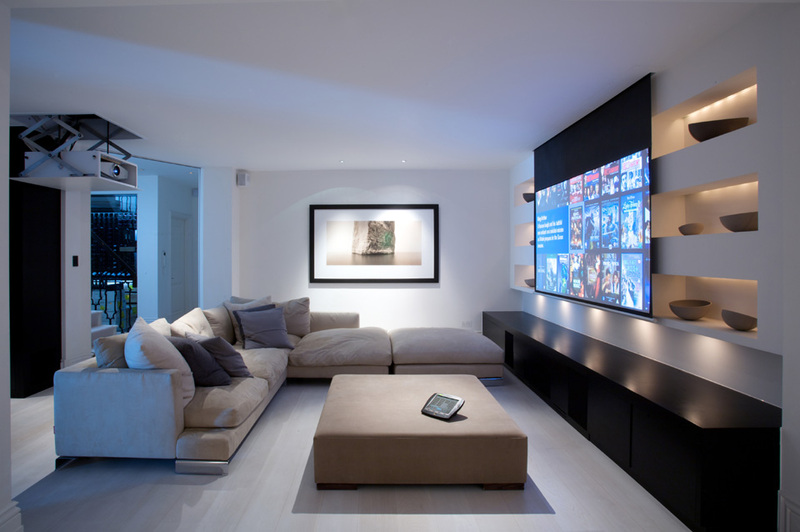 Multi-room media servers allow you to access all your movies, music and photos from a single location. The availability of terabyte hard drives allows hundreds of movies, thousands of albums and countless digital photos to be stored on one device. This massive library can then be accessed in multiple rooms via your television (DLNA), and also wireless remotes. Transmission of HD video is currently limited to around 15m over HDMI cabling. As a result of this, a different system must be used for HD distribution. The latest products allow HD video and sound to be sent using cat6 data cable. Being both easy to install, and cost effective, making it an ideal solution for high definition video distribution. With these systems, you no longer have to have the traditional installation of your satellite receiver located under your television as it can now be hidden away giving your viewing experience a cable free uncluttered look. By far the most common system for video transmission around the home is RF distribution, which offers a simple way to send video and audio down a single cable. However, RF distribution is not compatible with HD signals and is inferior to current digital video & audio formats. The current size limitation for televisions stands at around 63 inches. So if you are looking for a cinema style large screen experience, then projection is your way forward. There are now many projectors in the marketplace that will produce high definition images at very reasonable prices now making the projection option an affordable solution.